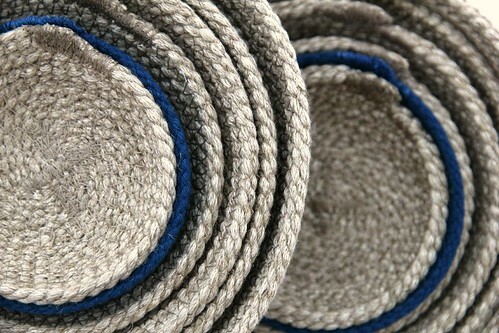 Earlier this year on one of my trips to Sham Shu Po, I chanced upon a new-to-me shop selling ropes and natural trims. 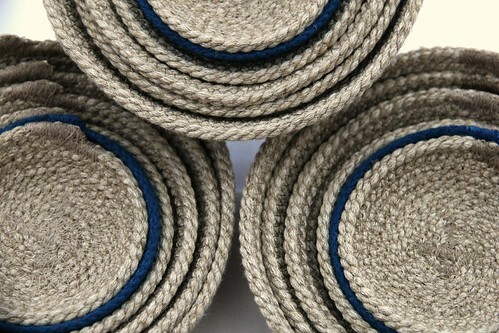 I bought some gorgeous jute/cotton blend rope and proceeded to become obsessed with it. 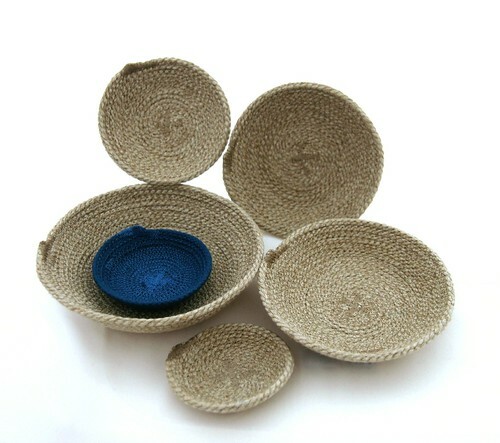 Within days, I needed more as I'd sewn it all into bowls. 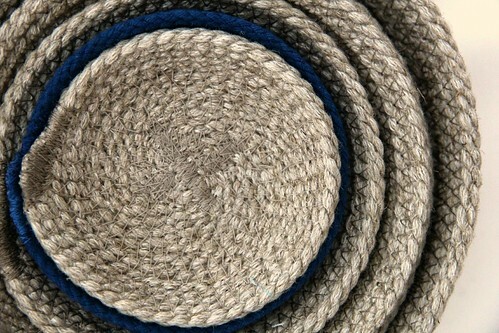 The colour and texture of it are so beautiful, so simple. 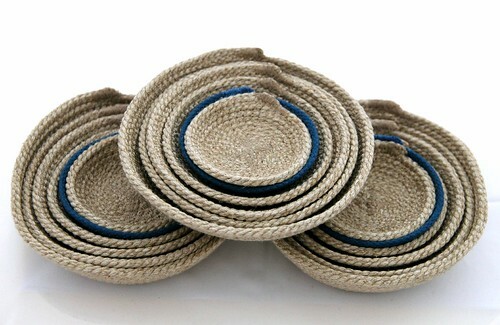 I have now been sewing the jute into nesting bowls. 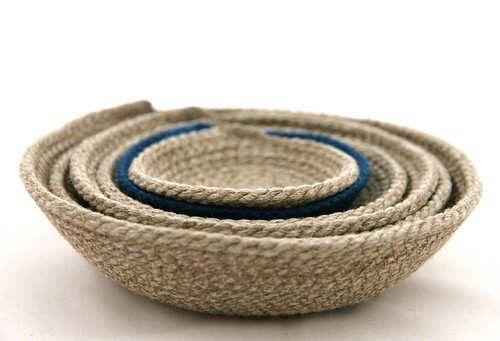 They are now in my etsy shop with a blue bowl feature. You can find them here.